Advent signifies a time of waiting. It’s an expectant waiting. A season of hope, knowing that the fulfillment of a promise is near. As the semester nears its end, students and parents, teachers and staff, all look forward to the upcoming Christmas break. There is still much to be done, with finals for the older students and classes ongoing for the younger ones. Upcoming parties and community outreaches are being planned, but must remain an anticipation. Soon, very soon, the efforts exerted in these months and days will yield fruit. The semester will come to an end. In the midst of all the activity, the challenge remains to make room in our hearts for the much anticipated King. May that be our prayer in these last days before we break for Christmas to enjoy celebrating His birth. A beautiful Christmas tree lights up the Trinity Christian School lobby these days, setting a festive tone as you enter the school. 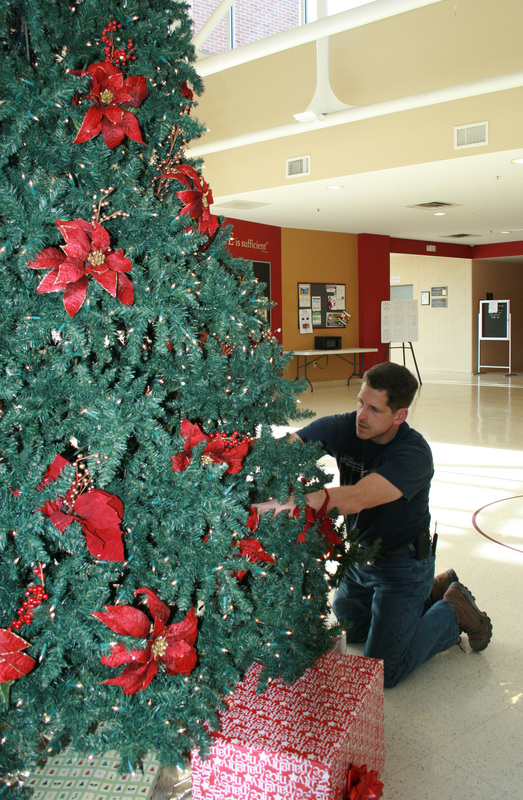 A special thanks to Jeff Roth, Building and Maintenance Supervisor, for not only assembling the tree, but also attending to the school facility with great care and diligence. 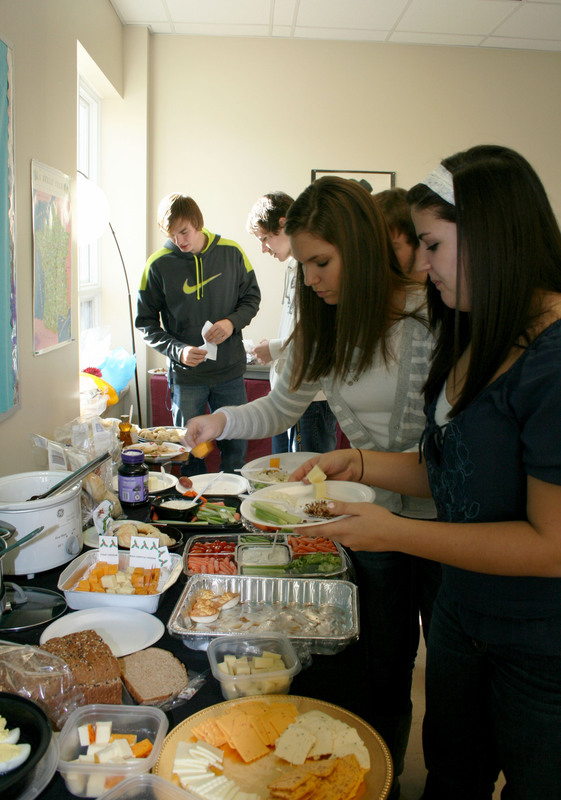 High school English students enjoy a Renaissance feast based on dishes of the time period as indicated in literature. 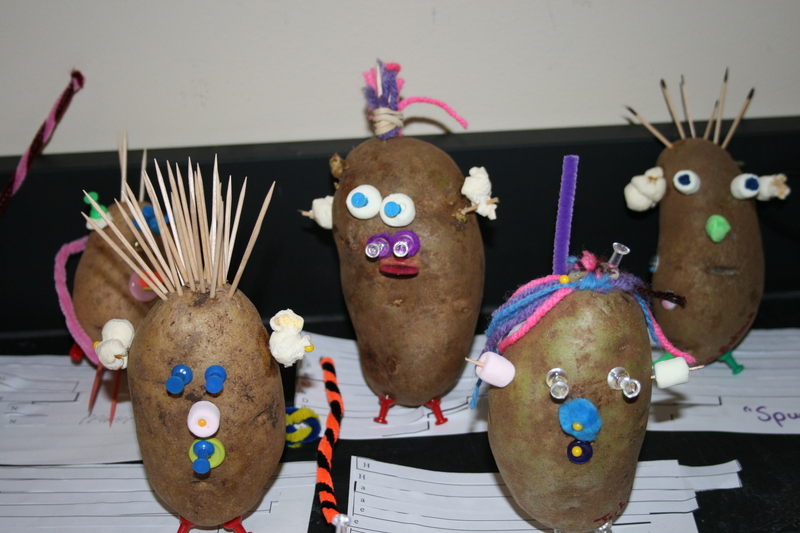 For a scientific take on the potato head, middle school students assembled a genotype from chromosomes, making models to reflect the dominant and recessive genes. Trinity third grade students were featured in the Kids Say section of the December/January 2013 issue of MORGANTOWN magazine. Coming to a church near you! 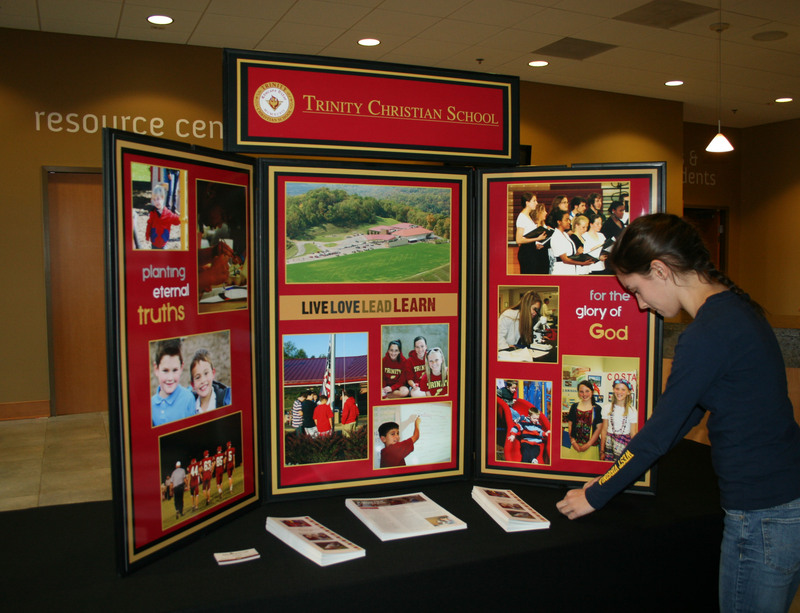 Our new traveling kiosk is making its rounds to area churches to introduce area families to the mission and vision of Trinity Christian School. If you would like to arrange a visit to your church, please call the business office during school hours.